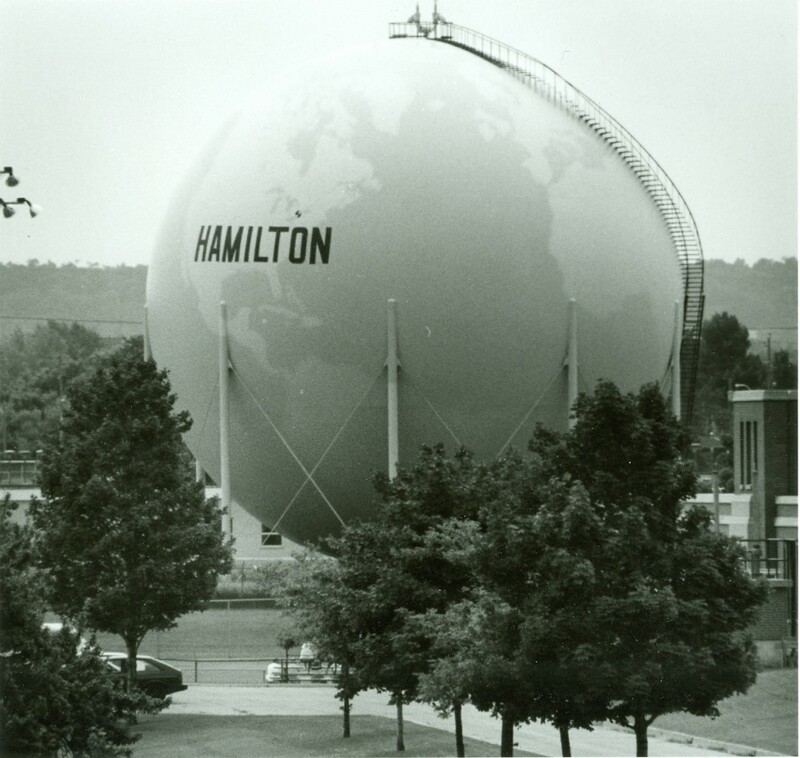 There’s a big discussion on in Hamilton over the future of the city’s so-called gas ball. For decades, the painted eight-storey globe has reminded QEW motorists that Hamilton is, in fact, the centre of the world. The city is considering painting it over – potentially with ads. 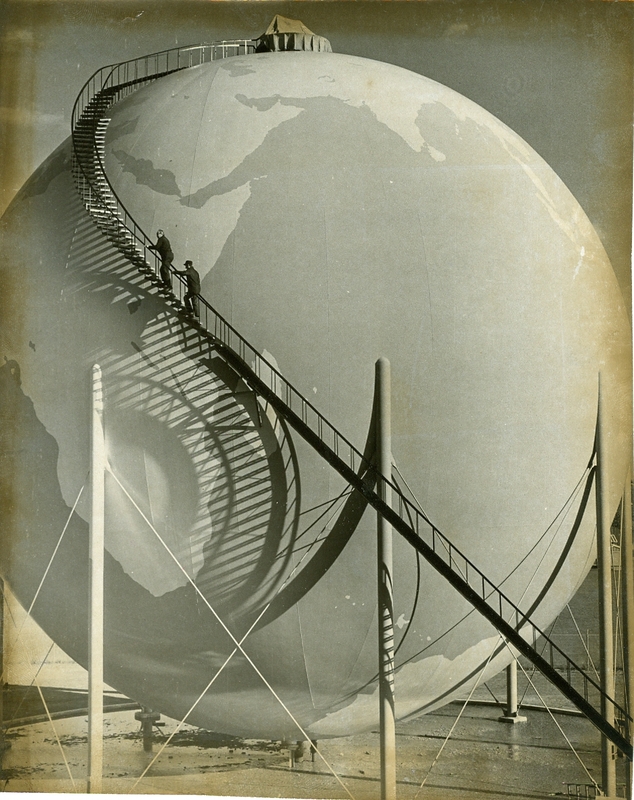 Gas Ball – will Hamilton vanish from the face of the earth? Some flashbacks of the ball, which many Hamiltonians want to save. 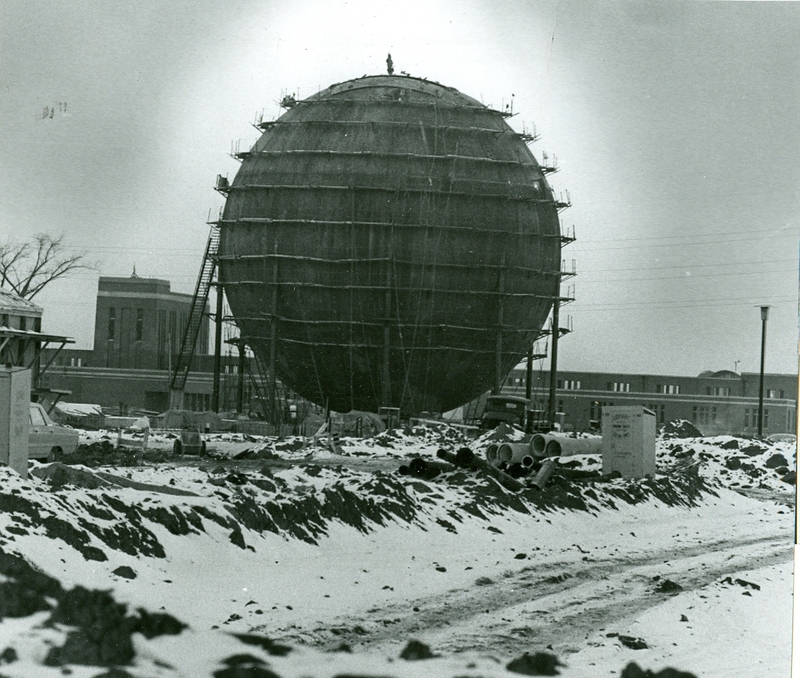 Under construction in 1971, the huge sphere towers over buildings on Woodward Avenue, part of Hamilton’s $20-million secondary sewage treatment plant. More than 100 feet (30 metres) high, it’s used to store methane gas discharged during treatment. Spec Archives. 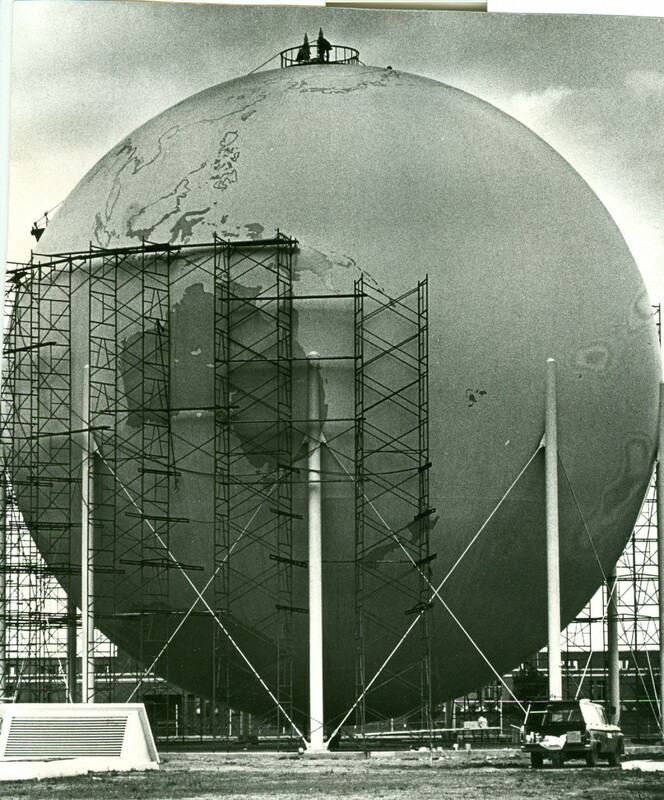 Scaffolding goes up around the giant globe, October, 1972. 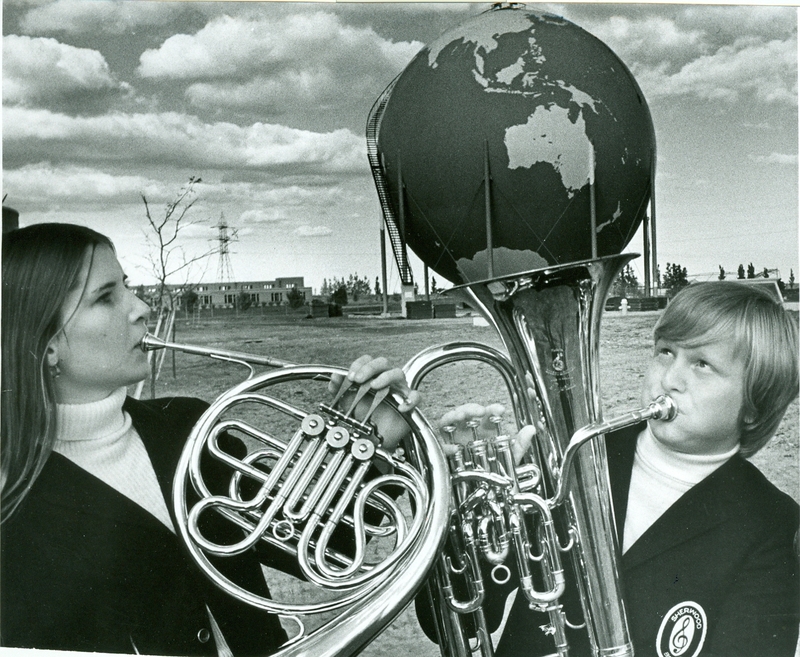 Sherwood Secondary school musicians Lynn Hannay and Dave Lazzarato salute the opening of the plant and its giant globe Oct. 20, 1972. Spec Archives. The globe in June, 1993, essentially the way it looks today.  Archived in Flashback and tagged gas ball, Hamilton Ontario. Bookmark the permalink. Firstly, we have very little that isn’t being erased as someone is offended by everything. As Canadians we have no identity, its not allowed because of this. The sad thing is… Being offended is not a legal issue yet it will stir more action than people being homeless and hungry. To keep a few things, such as the globe, as it is would be a small win. It belongs, its always been there, its ours. What is it if it is changed into a billboard? Just another eyesore. Secondly, we have far too many ads, they’re at every turn. Even The Weather Network app on my cellphone has ads now and I intend to remove it. We don’t need more ads. You can say that other places are worse for it and you might be right, but this is the place I care about.